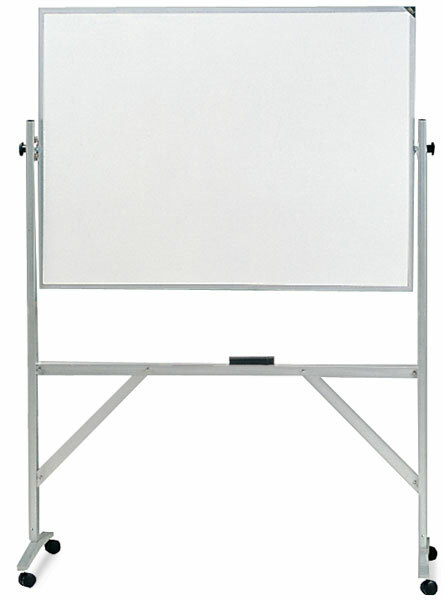 These free-standing, double-sided white melamine markerboards offer expansive surfaces with lots of space to fill. The reversing mechanism is specifically designed to make flipping to the other side easy. Strong steel lock clamps adjust to secure the board in position at any angle. 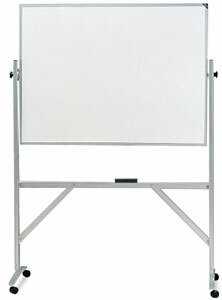 A full-length accessory tray and reinforced brackets reduce swaying. Casters feature locking foot brakes. Casters — A set of four 2½" (6 cm) diameter casters.